Dr. Reza Mansoor is my friend. He is a friend to many. He opens paths. He clears paths. He is a stonecatcher. I first met Reza several years ago while building Habitat for Humanity homes in Hartford. 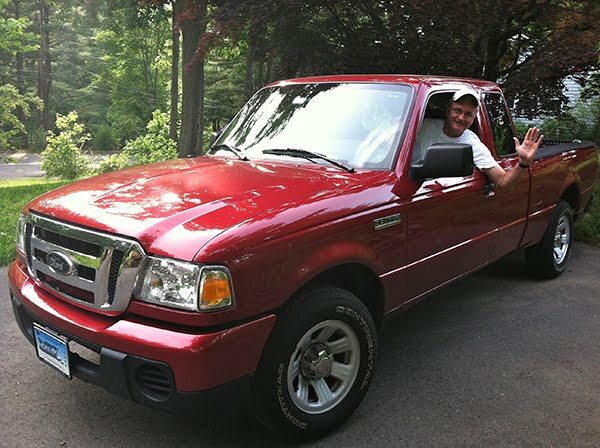 He was on the Muslim Coalition of Connecticut (MCCT) crew. The assembled construction crews were part of Hartford Habitat's interfaith collaborations designed to bring diverse faith communities together in side-by-side unity to build homes for families in need of simple, decent places to live. In the intervening years since we met, our paths have intersected several times: on more Habitat builds, at a Hartford shelter's kitchen when my church volunteered with the MCCT team, and at numerous interfaith gatherings, where many people of diverse religious backgrounds have come together to learn from each other, and to share their common calling to love and serve their neighbors. Dr. Mansoor has just published a book worthy of our attention. 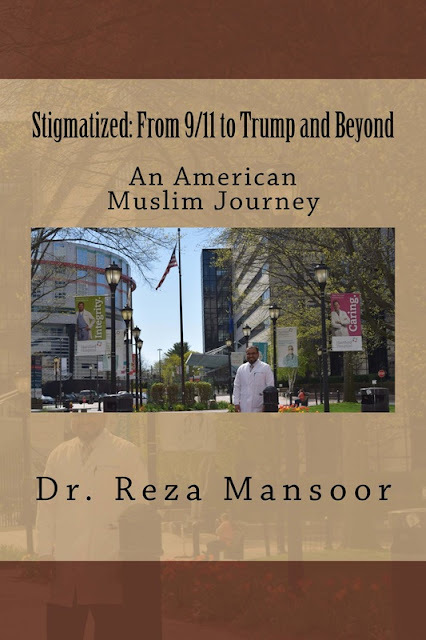 "Stigmatized: From 9/11 to Trump and Beyond, An American Muslim Journey". Check out the book's website. "In his recent work, Dr. Reza Mansoor describes the role of his Muslim brethren in the building of our nation... Those who revere Islam have as much to do with America's success as do Protestants, Catholics, Jews, Hindus, or any other religious sect...Sameness did not build America. Difference did...What makes us brothers is our love of America. This is what Dr. Mansoor's book celebrates." "This is a compelling and down to earth description of the experience of being a normal American citizen who is Muslim, seeking to practice his faith in post 9/11 USA, in which overt acts of hatred and the willful mis-understanding of Islam on the part of some, have been mixed with acts of friendship and solidarity on the part of others. Dr Mansoor's response to his experience within the Muslim community has been one that seeks in multiple ways to strengthen its identity and its institutions within the USA." "What I really like about this book is Dr. Reza doesnʼt just identify the problems that exist, he gives examples of successful strategies that can be used to eliminate those problems. 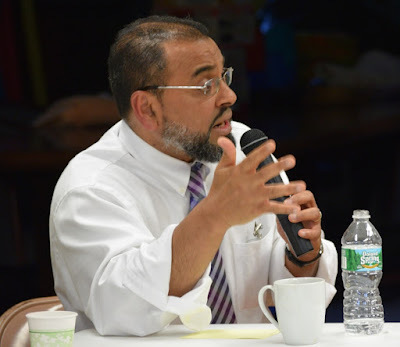 He gives the reader countless stories about the great work that continues to be done in Connecticut by those Muslims who have made it their business to be pro-active! Muslims, who have been called to action to improve the image of the Muslims, not by talking or being seen in nicely placed photo ops, but by getting involved with issues that effect and concern the communities." "This book is an important book for all those who yearn to see the true face of Islam, but also, it's a book that will inspire us to open the doors of our own faith communities to work together with others to make this world a better and more peaceful place for our children." "Into this climate of fear and bigotry stepped many heroes: ordinary Muslims who reclaimed the voice of Islam and their interfaith partners who stood beside them for the common good. In his memoir, Reza Mansoor tells the compelling story of his community and how they faced these challenges together." "You feel like you are sitting very close to Reza as he is sharing his experiences of what it means to be a Muslim in the US today...It is something worth reflecting on and to take to heart, when Reza writes about those who once left dictatorial regimes and oppression for the dream of the freedom of the USA and now increasingly see how the US...is becoming more and more like the states the immigrants and refugees once fled from. But this book...is also a call to Muslims in the US to refuse being defined by the other...a call to Muslims to contribute creatively to open houses for new exchanges, new alliances and networks with people of different faiths, prepared to work together for a plural society, where respect for the other is a common value." "While the lens through which we understand the Middle East and its tragic modern politics are not always the same, we must always be open to each other's narrative. It will only be the mutual hope and confidence that arises out of the commonalities of our faith traditions---the idea that justice and peace are not ours to impose, but are Divine gifts and imperatives---that will help us overcome human antipathy toward the "other," someone different."